Sonic hasn’t had the best reputation… The very best reputation… Okay, he probably has the WORST reputation among the famous video games. And I can see why. There are a lot of glitches in his games. But come on now, what speedy games do you know aren’t glitchy? Seriously, say any in the comments. If there are any, I will play it myself. Anywho, the most recent sonic game (from the time of this post) is Sonic Forces, which I’m obviously going a review on. 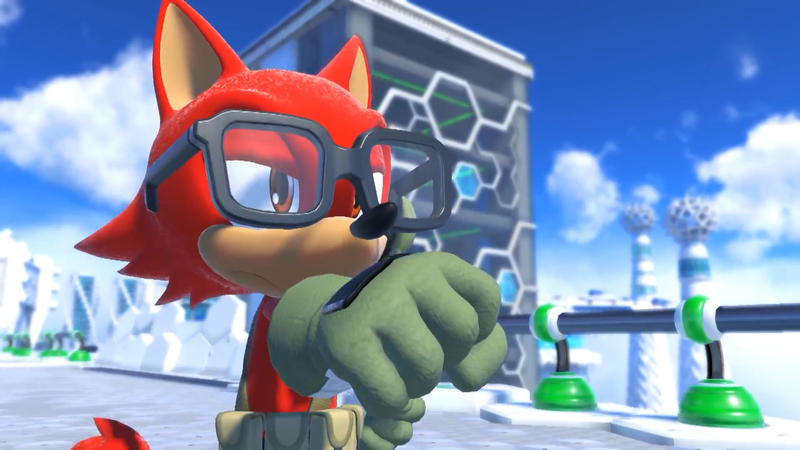 In this game, you can play as Modern Sonic, Classic Sonic, and the avatar, who I’m calling for the sake of this review “Original The Character”. The first type of gameplay I’m gonna discuss is the 2D GAMEPLAY!!!!!!!! Okay, this is one of the only troubles I have with this game is HOW MUCH 2D GAMEPLAY THERE IS!!!!!!!! WITH CLASSIC IN THE GAME, THERE’S NO NEED For Modern and Original to have it, but they do!!!!!!!! But maybe I’m just overreacting. The 2d levels ARE fun, and with Modern in them, you can boost, and Original you can use the Wispons (and it’s easier to use there too). But it gets EXTREMELY annoying to have to play through the 2d levels OVER AND OVER AND OVER. And its not just this game too. The 2d levels happened in Colors, Generations, heck the only Modern game that had no 2d levels were ’06(not including the Dreamcast games). AND THAT’S WHY SEGA’S SCARED TO HAVE FULL 3D GAMEPLAY!!!!!!!! The bad reviews!!!! If we stop criticizing the games that have full 3d gameplay, maybe we’ll have full 3d games!!!! 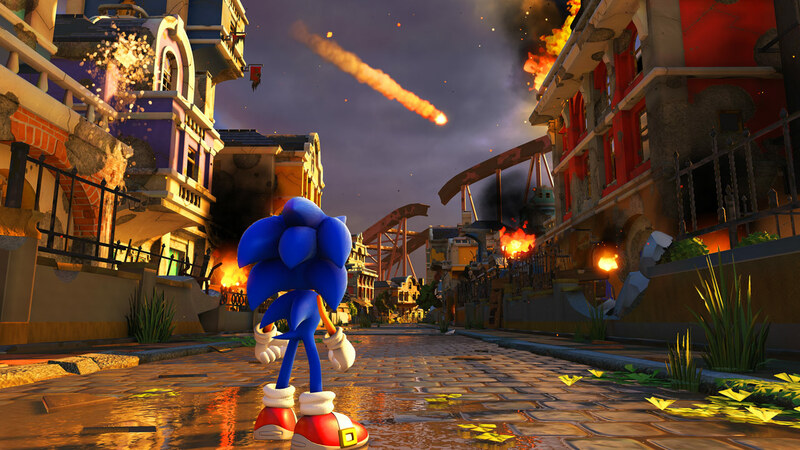 But anywho, on to the next gameplay type in Sonic Forces. The next type is the Boost gameplay. This is the gameplay with Modern and Modern x Original levels… And I guess the Modern x Original x Classic boss fight. First off, it IS a little glitchy. Even I encountered a few in my first time playing, which I usually only encounter one in a full gameplay. But these where minor glitches, so we can ignore these. The gameplay itself is really fun, as you can go as fast as you want– … You can USUALLY go as fast as you want. On Metropolis, how ever, you need to watch out. It’s really dangerous to go fast. But it feels good being able to boost and go really fast and boost through the enemies– … Okay this one has a glitch that’s REALLY annoying. One of the enemies for some reason you can’t run through, and it is just like”I’m almost done with the level, I can probably make the fastest ti– WHAT THE HECK!!!!????”. But going fast and blowing through the enemies is still really fun. Now, let’s talk about the last– … Okay, Super Sonic there’s nothing really to talk about, you’re just invincible, and if you Modern you can boost forever. Shadow it just gives you a story really, the only thing Shad can do Sonic can’t is light speed homing attack. NOW onto the last gameplay. The Wispon gameplay is really fun, as you can collect tons of clothes and Wispon, play with the Wispons, create a head canon for your character, and play with Sonic in some levels. The Wispons are actually really fun to play with (my favorite is phantom Wispon), and you can experiment with it too. For instance, with the lightning Wispon, you can just keep using its main attack while you’re about to get attacked (and when you’re getting attacked) and see what it does (I promise it’ll do something). And making an actual name and head canon, it’s actually really fun when you mix it with the clothes. But, sadly, other than that, there’s really nothing you can do. Now onto the music. I really love the music, especially Fist Bump. Man that song is good. My favorite song other than that (that has words) is Imperial Tower. “The sun is falling from the sky above, and light is fading from our world…” “And LIGHT is FADING from our world”… I got nothing. My favorite song that doesn’t have words is strangely Faded Hills. Alot of people say that it is really bad. But let me explain. I can listen to a song (preferably I’ve with no words) and not get tired of it for a long time. Because of games like Undertale. And listen to the songs and compare them. You’ll find that alot of them sound the same. And lastly, the story. Oh, the story, it’s so good!!!!!!!! *after 30 minutes of getting beat up* IT’S MEDIOCRE, AND I DEFINITELY DON’T HAVE A KNIFE UP AGAINST MY THROUGHT!!!!!!!! 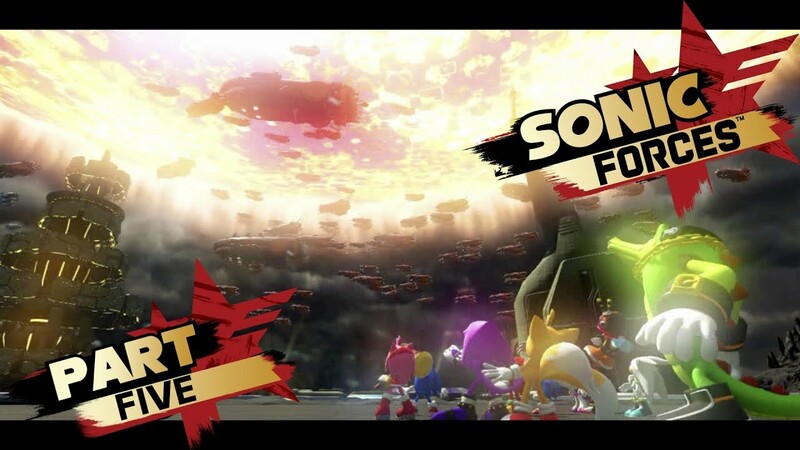 I mean, 1 second, if you count the Shadow dlc, everything’s fine, then suddenly (3 months later), Infinite’s going like “RAGH I’M GONNA KILL SHADOW AND SONIC, I AM NOT WEAK!!!!!!! !”, and then its like another 3 months and the “resistance” is basically almost dead, and then Original comes in and everything’s fine, and then randomly Classic appears out of nowhere, and then Sonic basically breaks out in his own, and then blah blah blah, Big and Wave, blah blah blah blah blah blah blah blah, Giant crab robot, blah blah blah blah blah blah blah, Metal Sonic, blah blah blah blah blah blah blah blah blah blah blah, and then that’s the story basically!!!!!!!! (Can you please put the knife down now???? No???? Dang.) So, in all, I’d rate this game 8 out of– I-I MEAN 4 OUT OF 10!!!!!!! !